Polish judges opposing the justice reforms started by Warsaw ask for a solution to the crisis without Europe’s intervention. EURACTIV France reports. “I am devastated by the thought that the EU could command sanctions under article 7 of the Treaty [of the European Union]”, said Jerzy Stępień a former judge on Poland’s constitutional court. The old magistrate was invited by the bar association of Paris, after his government initiated reforms that the Commission and human rights groups say threaten the rule of law in Poland. Jerzy Stępień shared his anxiety on the possible isolation of his country by the EU: “Polish feel very linked to Europe. Enacting sanctions against Poland could be used by my government to reverse this opinion”, he warned. 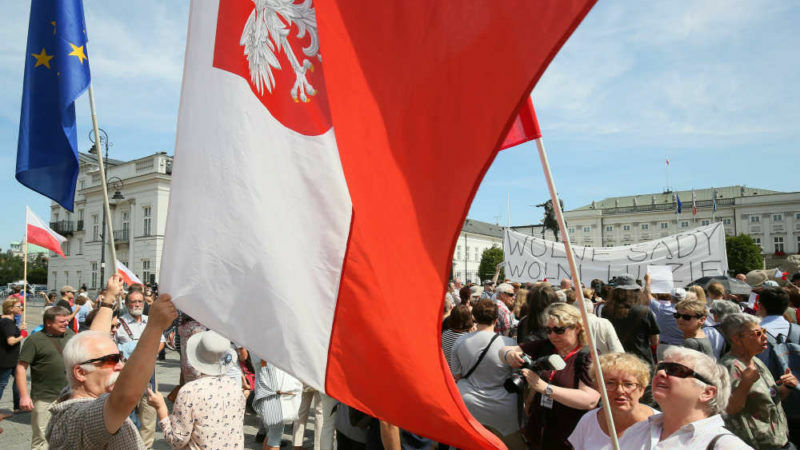 The possibility of European sanctions on Poland has been raised by a justice reform proposed by Warsaw. Affirming some “deficiencies” in the judiciary, the conservative party PiS (Law and Justice), in power since October 2015, has presented a series of reforms which aim to put the judiciary under the control of the executive power. This attack on the separation of powers has been denounced in Brussels by the vice-president of the European Commission Frans Timmermans, in charge of the dossier. On 24 July 2017, after numerous demonstrations, Polish President Andrzej Duda vetoed two of these reforms. Plans to have the president appoint constitutional judges directly, as well as new rules for selecting members of the national judiciary council, will have to be reviewed. The lawyer is also worried about the two vetoed reforms, that are currently being reviewed by the majority: “The text is modified behind closed doors, there is no public debate allowing the opposition to influence the text”, he regretted. For now, the European Union has not launched the sanctions procedure under Article 7 of the Treaty of Lisbon. In case the Union’s fundamental values are violated by a member state, the state could see its vote in the European Council suspended. A qualified majority is necessary to trigger the sanction, and Poland is always backed by the Višegrad group – particularly by Victor Orban’s Hungary. Polish magistrates do not think Article 7 is a good way out of the crisis.